This model is truly the best CPAP Machine that has been suggested to patients with sleep apnea and other respiratory issues. 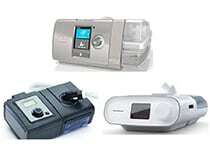 This CPAP Machine offers user friendly technology which is completely easy to use. The technology also allows the patient using the machine to experience comfort while breathing into the machine. 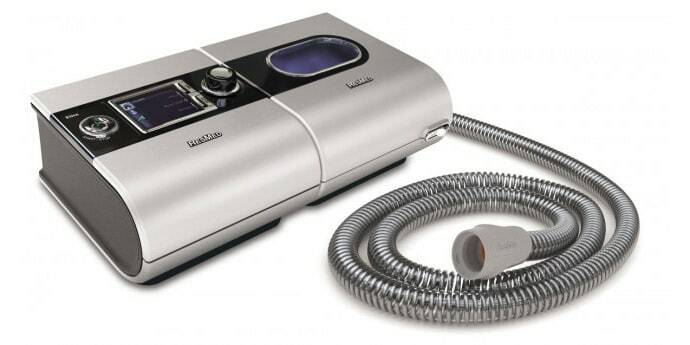 In addition to the easy to breathe machine, it is definitely one of the most quiet CPAP Machines as well. This quietness allows the patient and others in the room to sleep much better at night. With a great design, climate control, heated tube options, slim tubing, a management system and more, the ResMed S9 Elite CPAP Machine with EPR and Heated Humidifier is a well?rated CPAP Machines on the market today. 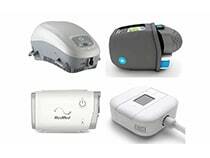 To other articles that you might find helpful are: the best CPAP machines, the best travel CPAP machines?as well as the best BiPAP machines! I found the cheapest place to buy the newest model! Click below and?use this limited time discount code: “ABC10” in the “Shopping Cart” page for 10% off your total order?no matter what you end up buying! Get the newest and best model, the Airsense 10 Auto here! There couldn?t be a better size for a CPAP Machine than the size of this model which is 5.5? x 5.5? X 3.4? (153mm x 140mm x 86mm) while the size with the H5i Humidifier is 11.0? x 5.5? X 3.4? (306mm x 140mm x 86mm). Also, the weight is very convenient for travel as it is only 1.8 pounds for the CPAP Machine itself and 3.3 pounds with the CPAP Machine and the H5i Humidifier. This model is very easy to use and offers complete comfort for the patients. The easy breathe technology allows the user to breathe easier as less pressure is forced on them while exhaling into the machine. The specifications of this CPAP Machine are perfect for any sleep apnea patient needing a top notch CPAP Machine. The features provided by this CPAP Machine are the best of all CPAP Machines. The ResMED S9 Elite CPAP Machine with EPR and Heated Humidifier has minimal complaints with good?specifications and features. Although I think this is a fantastic CPAP machine, I do not think that it is the best that is on the market today. 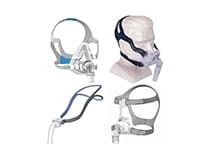 If you are seeking a premium CPAP machine, this model should be considered.? 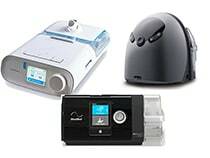 ?Overall, my favorite to CPAP machines right now are the Dreamstation and the REMstar auto CPAP(check out my review) machines. Check out this article to see how the ResMED S9 Elite stacks up against the best cpap machines in the market today. No matter what CPAP or BiPAP machine you end up going with, make sure to get a great cleaner to go along with it due to the fact that these things get very unsanitary! 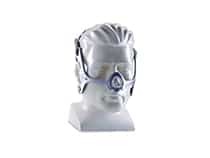 If you are in the market for a new CPAP machine, you are probably looking for a new mask as well. 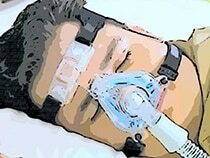 Check out my articles on my top six masks, fantastic masks for side sleepers as well as the most comfortable masks in my opinion. I hope you guys enjoyed my article, now it’s time for us all to get a good nights rest!